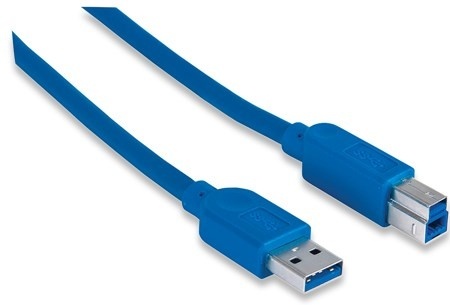 Specifikace kabelu / redukce:USB kabel; Verze kabelu / redukce:3.0. Quality connections for SuperSpeed performance. 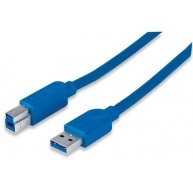 Manhattan SuperSpeed USB Cables are designed, engineered and constructed of quality materials to deliver the faster speeds required to support the next generation of the most prevalent computing interface. 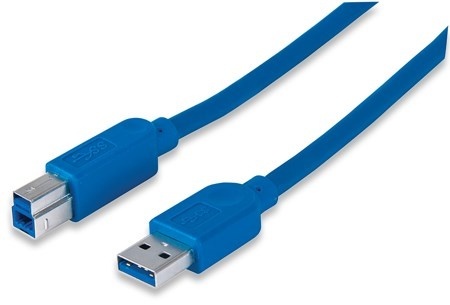 Backwards compatibility with Hi-Speed USB 2.0 provides a smooth transition between new and existing desktop and notebook computers, digital cameras, PDAs and other popular electronics and mobile computing accessories. Manhattan SuperSpeed USB Cables support data transfer rates up to 5 Gbps or nearly 10 times that of Hi-Speed USB 2.0 on Windows and Mac systems for ultra-fast, reliable transmissions. 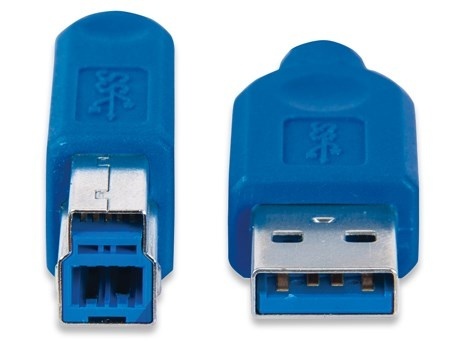 Full shielding, molded boots and protective, flexible PVC jackets help support SuperSpeed USB bi-directional communications, reduce EMI interference and provide maximum conductivity with minimal user wait times and data loss.